With many other uses from storing matches and anything else small that needs keeping dry for camping, matches, tinder etc. We also offer them as a large capsule and flat base capsule version. 52mm long x 13mm diameter. 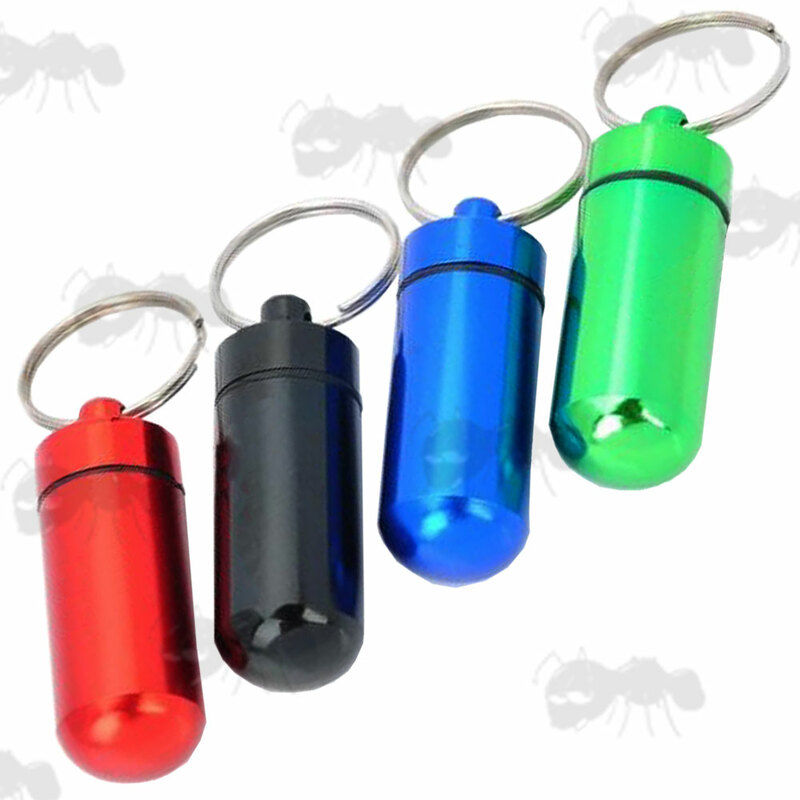 40mm long x 11mm diameter. Available in packs of four only. With one red, black, blue and green. 48mm long x 16mm diameter. 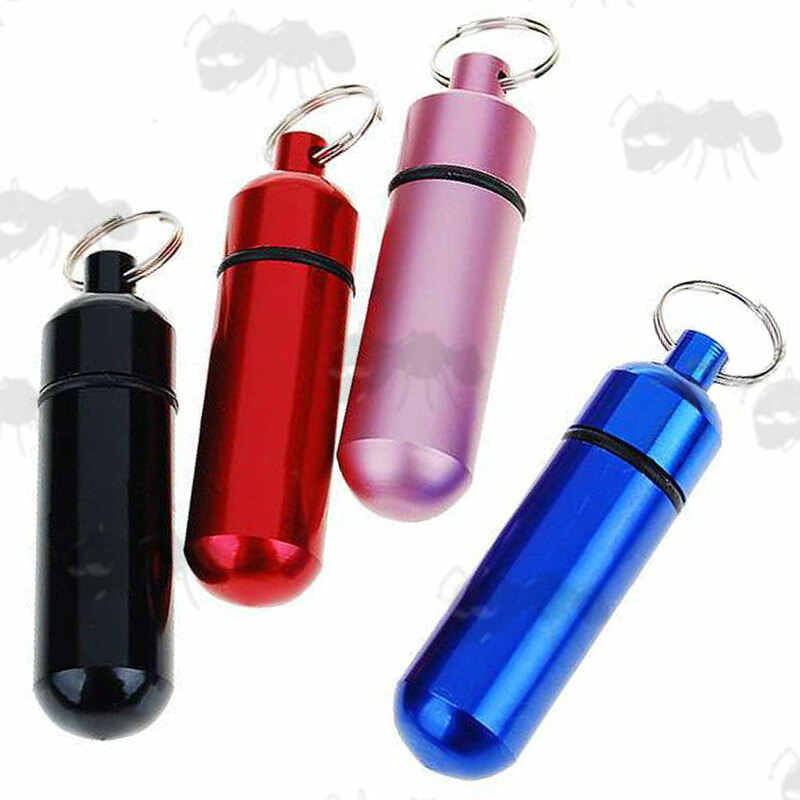 30mm long x 15mm diameter. Aluminium construction with rubber O-ring seals. 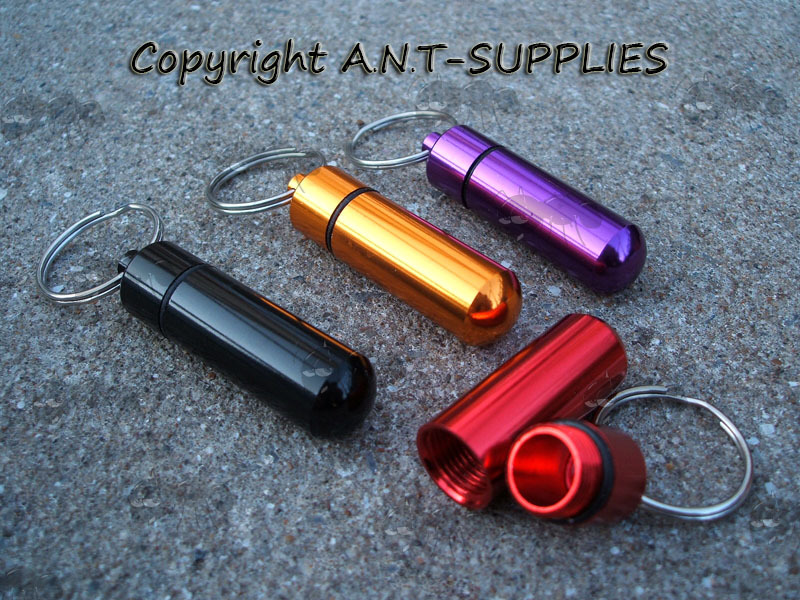 Each with a keychain fitting for easy carry. Each capsule weighs approx 10 grams. Roughly speaking, the Type 1 capsules are longer but narrower.